Intrinsic (or residual) stresses, resulting from manufacturing or processing steps, mostly define the performance and limit the lifetime of nanostructured materials, thin films, coatings and MEMS devices. The established techniques for micron-scale measurement of residual stress still have strong limitations, e.g. in terms of spatial resolution, lack of depth sensing, their applicability on non-crystalline materials or accessibility to industry. 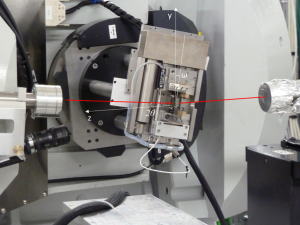 In this project, a European consortium is established to develop an innovative, highly reproducible and automated measurement protocol for the analysis of residual stress distribution on a (sub)micron-scale, based on incremental focused ion beam (FIB) milling, combined with high-resolution in situ Scanning Electron Microscopy (SEM) imaging and full field strain analysis by digital image correlation (DIC). 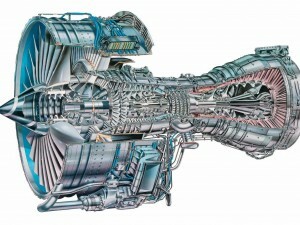 The activities will focus on the implementation and pre-standardisation of fully automated FIB-SEM, DIC and inverse stress calculation procedures, together with a quantitative analysis and modelling of FIB induced artefacts and stress-structure-properties relationship for the selected materials and devices. The final aim of the project will be the development of innovative design rules, implemented into simulation and optimization tools under coordination of industry partners, for the production of residual stress-controlled nanostructured and amorphous materials, with specific focus on (i) multi-layered nano-coatings, (ii) micro/nano-crystalline and amorphous materials, (iii) MEMS and 3D metal interconnects. 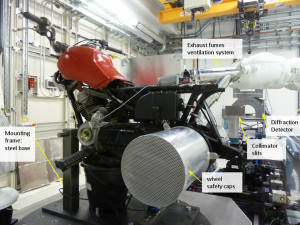 The project is expected to realize a breakthrough in measurement, standardization and modelling ability of the residual stress distribution at the (sub)micron scale. 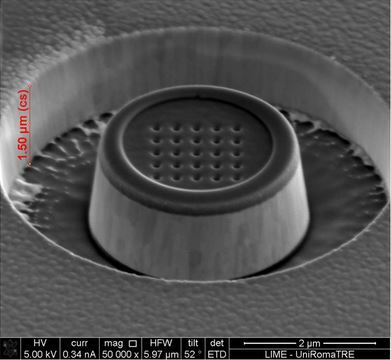 The measurement techniques and the simulation tools will provide SMEs in particular with enabling technologies for the design and efficient production of innovative micro-devices with improved in-service performance and substantially reduce development costs.